Pump Repair East Peoria IL - Armature Motor & Pump Co. Whether your pool pump isn’t cycling water, or your sump pump is struggling in heavy rain, it might be time to get your pumps checked out. When the time comes for pump repair, East Peoria IL residents rely on Armature Motor & Pump Co. for the best service. Armature Motor & Pump Co. has been in the business of pump repair for the past 25 years. With friendly and dedicated technicians, we have become the premiere choice of machine shop for East Peoria and the surrounding areas. You can expect quality and accuracy from our certified professionals. How Do You Know to Repair? If your filter pressure gauge is reading low, your impeller is broken. If your pump housing is spraying water, the seal may have worn out. Damages are apparent in the motor shaft if the pump is leaking water. If the water level in your basement exceeds the water being pumped out. When you begin to smell bad odors and mildew/mold starts to appear. 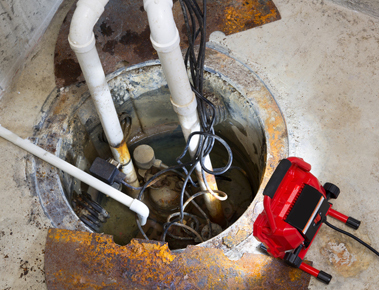 If your sump pump is running, but there is no water in the pit, it may be a sign of a clog. If you begin to smell sewage in your basement or find obvious signs of sewage runoff. If your pump is running when it is not in use. Your pump doesn’t pump water when turned on. If you hear hissing sounds coming from your pump. When your pump starts to gather condensation. If your air isn’t blowing cold. 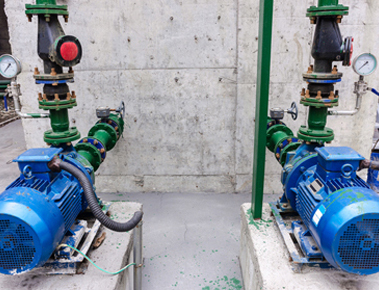 More than pump repair, East Peoria IL residents can get quality repairs and replacements for motors and air compressors through Armature Motor & Pump Co. We offer trusted brands such as Abb Baldor and Victor Technologies to supply new parts and machinery. Additionally, our certified technicians can provide laser alignment and dynamic balancing to fix any motor or pump. For the most reliable machine shop in the Central Illinois area, look no further than Armature Motor & Pump Co. Contact us today at 309-699-4267. Also, you may find us located at 3011 N. Main Street, East Peoria, IL 61611. 2018 © ArmatureMotor&Pump Co.Inc.. All rights reserved.